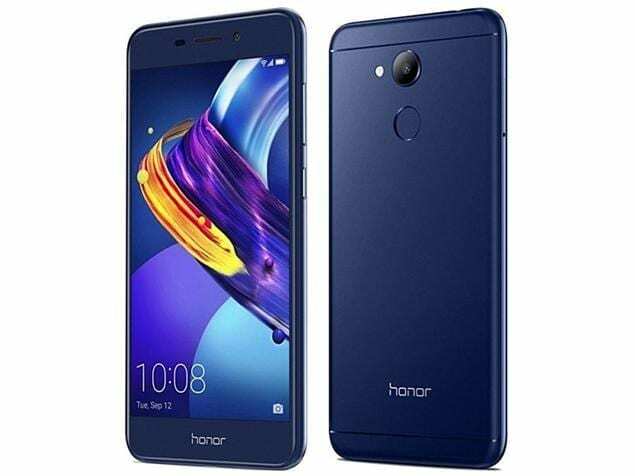 Earlier launched in China as the Honor V9 Play, the Huawei Honor 6C Pro is a device that promises good performance without draining your wallet. Huawei Honor 6C Pro comes with an octa-core processor that combines with 3GB RAM for what looks to be enjoyable performance – well, for the price. The Huawei Honor 6C Pro sports what looks to be a metallic body – its gold variant especially appears a tad more premium. Its thickness is 7.65 millimetres, meaning this is slightly more on the slim side of things. It weighs 145 grams while the overall build quality looks decent. Huawei Honor 6C Pro packs a 5.2-inch S-IPS display with a resolution of 1,280 x 720 pixels. While this doesn’t promise the sharpest of images, you can still look forward to enjoyable wide-angle viewing. In the camera department, Huawei equips its 6C Pro with a 13MP rear and 8MP front sensor combo. You get features such as autofocus, LED flash, HDR and face beauty to enhance the quality of shots you take. With this 8MP shooter, selfie fans are in for a treat. Internal storage capacity is 32 GB. If that is not enough, the Huawei Honor 6C Pro takes a microSD card for expansion by up to 128 GB. With an octa-core MediaTek MT6750 processor under the hood, the Huawei Honor 6C Pro shouldn’t do too badly for its price, performance wise. The CPU does its job at speeds maxing at 1.5 GHz. RAM of 3GB capacity is onboard to keep the phone satisfactorily responsive. The operating system in use here is Android 7.0 Nougat with EMUI 5.1 skin on top. There is a 3,000mAh juicer onboard to keep the phone going for hours before you need another top-up. The dual-SIM smartphone offers you LTE connectivity via its two SIM slots. Wireless connectivity features on the Huawei Honor 6C Pro include speedy Wi-Fi with Wi-Fi Direct and hotspot, and Bluetooth 4.2. The Huawei Honor 6C Pro supports USB On-The-Go (OTG) feature. You will find a fingerprint scanner on its rear for improved security. Huawei Honor 6C Pro is not yet available in Nigeria, Kenya, and Ghana. We currently have no data on pricing and availability for Nigeria, Ghana, or Kenya. When available, Huawei Honor 6C Pro Price in Nigeria is expected to range from 75,000 Naira to 110,000 Naira depending on your location.